We have been planning for a November 2013 Galapagos Tour. Read the review of the Galapagos Cruise and the Quito pre- and post cruise stay. Read the posts below and watch the video to get inspiration and tips for your Galapagos Cruise. A cruise is probably the best way to explorer the Galapagos Islands. See the various Galapagos Cruise Options at my post What is the best way to visit Galapagos? or at galapagosislands.com. What should I pack for my Galapagos cruise? What is the best way to visit Galapagos? You will also find useful links to web resources and cruise reviews in the link lists (right pane). Travel To Galapagos Islands To Learn About Galapagos Animals & Plants. See the short video from my Galapagos Tour, November 2013. Get a guide book, read up in advance so you can plan the trip. Then, before arriving on the islands, it is recommended to do some research on your destination. Knowing a bit about the islands and wildlife before your arrival will enhance your appreciation and experience. The islands are all very different and you will find different animals on the different islands. This pocket-size guide book is a comprehensive guide to the unique wildlife of the Galápagos, is aimed primarily at the identification of the birds, mammals and reptiles visitors to the Galapagos Archipelago might encounter of. Special attention is of course paid to the endemic species and subspecies occurring in the archipelago. Galapagos National Park rules appear on the inside back cover, Spanish names are noted in the text, there is a comprehensive checklist of which species occur on which islands and their habitat preferences, and lists of further reading and contact addresses are included making this an ideal book to obtain for anyone visiting the archipelago. See more guidebooks at this link. When planning a Galapagos cruise, one of the first questions that arises is: what should we pack for the trip. This video is a guide in words and pictures of what to pack for the trip. Your luggage should be limited to one medium-size suitcase and one small carry-on bag. The airline restricts and enforces the amount of luggage passengers may bring to the islands to 1-piece weighing no more than 20kg (44 lbs). Arrangements can be made to leave extra bags at your hotel in Quito where you will stay before and after the cruise. Your carry-on bag should contain all important travel papers, film, camera equipment, traveller’s checks, toiletries, medications, swimsuit, and one change of clothing. For the daytime in the Galápagos, clothing should be lightweight, casual, and comfortable, shorts and a loose comfortable t-shirt or tank top. However, you might want to bring long-sleeved shirt for sun protection. Shorts should be just fine for all landings. For cold mornings, you might want zip-off trekking pants (like The North Face Horizon Convertible Pants). A wide-brimmed or long-billed hat and a pair of sunglasses are essentials for protecting face, eyes, ears and neck from the bright and scorching equatorial sun. A breathable Gore Windstopper is ideal for the islands and a rain jacket or poncho with hood could be handy if it rains. To carry your additional clothing and waters bring a collapsible lightweight nylon backpack, like The North Face Flyweight Pack. An old pair of sneakers (running shoes), or a pair of sport sandals (Keen Footwear, Teva, Chaco, Merrill) is necessary for “wet” landings from the boat. Most wet landings are wet because the pangas come up on sandy bottoms. You can then change into walking shoes or leave on your sandals. For ‘dry landings’ running-shoe types of footwear or low hiking shoes are suitable. Full hiking boots won't be necessary, you will always be on paths. Shoes should be sturdy, as well as comfortable, because the lava terrain is hard on the soles. Bring older shoes, that will suffer the damage of saltwater, volcanic rock, and sand. I did use my Keen Newport waters sandals for all landings (both wet and dry) and did not change. On board use a pair of light sailor shoes or sandals. Also remember swimwear and sandals for the beach and snorkelling gear, if not provided by the tour operator. On a ship with such an outdoor-based itinerary as Galapagos, casual is obviously the order of the day, but guests seemed to enjoy changing out of their daytime swimmers and shorts and dressing fairly smartly for dinner in the evenings. For dinner and evening, it is slightly more formal attire, Bring one set of casual city clothes/skirt or a simple sun dress. Men don't need to bring a jacket. At night, a sweater or sweat suit will be suitable. For evening use Rubber soled shoes or boat shoes. Nights can be chilly, so include a medium to light fleece jacket or sweater for the evening. Bring only one (or two) pairs of light pants to the Galápagos. The first question I asked myself - what is the best time to visit Galapagos? The fact is that the Galápagos Islands are beautiful all year through because of their their equatorial location far from the main land. However, there are a number of factors that may influence your planning, on when to visit the Galápagos. See the links provided below or links in the right pane. From June to December is called the dry season. The southern trade winds bring the colder Humboldt Current north to the Galápagos. The water is cooler, and a layer of high atmosphere mist pervades the island skies. The highlands of the larger islands are kept green and lush, while the sea level islands and shorelines have little precipitation. From December to May is called the warm season. During this warmer season, the Galápagos climate is more tropical with daily rain and cloudier skies, and the ocean temperature is warmer for swimming and snorkelling. However, on the Galápagos Islands, you'll always find the wildlife activity to be absolutely amazing and unique, no matter when you visit the islands. The Galapagos Islands are located 1060km (600miles) west of the Ecuadorian mainland in the Pacific Ocean. You must take an international flight to Ecuador, to arrive either at the city of Quito or at the city of Guayaquil. There are non-stop flights from several US cities like Houston (United), Atlanta (Delta) and Miami (American Airlines), as well as from European cities like Amsterdam (KLM) and Madrid (Iberia). Transportation from the Ecuador mainland to Galapagos is somewhat limited. There are 2 airlines that fly out to the Galapagos on a daily basis: TAME Airlines and AEROGAL Airlines. There are two airports in Galapagos: One on Baltra Island (Where Celebrity Xpedition cruises starts from) and the other in the port town of Puerto Baquerizo Moreno, on San Cristobal Island. Which airport you fly to will depend on where your Galapagos trip starts from. Flights departing from Quito stop in Guayaquil before continuing to the Galapagos Islands. The flight time between Quito and Guayaquil is roughly 35 minutes and from Guayaquil to Galapagos is roughly 1½ hour..
All of your luggage will undergo a search for food or plant products that could introduce harmful organisms into the Galapagos ecosystem. Be prepared to open your bags before you check them in at the desk. Strict luggage allowances are vigorously enforced. You are permitted 20 kg (44 lbs) of checked luggage. We have selected the 10-nights Celebrity Xpedition cruise tour, where flight from Quito to Baltra is included. As experienced Royal Caribbean cruisers we found, that the Celebrity Xpedition was the best choice for our Galapagos Cruise. The Celebrity Xpedition has the most spacious, comfortable, and spiffy cabins and public spaces in the Galapagos Islands. We have booked the Celebrity Xpedition 10 day cruise tour with two nights at J.W.Marriott Hotel in Quito before the cruise and one night after. This tour does include flights to/from Galapagos and is an all inclusive tour. The cruise tour is booked direct with Celebrity Cruises at Celebritycruises.com - Flight to Quito is booked direct at united.com. The Celebrity Xpedition fare is high end, but it's is considered to be good value for money. The price is all inclusive. See the other Galapagos Cruise Options at galapagosislands.com. After review of the different offerings, we have now selected a cruise with Celebrity Xpedition in November 2013. For the 7-night Galapagos cruise we have booked the 10-night cruise tour with two nights in Quito before and one night after the cruise - in Quito we will stay at J.W.Marriott hotel - this tour also include flight from Quito to Galapagos. See review from pre- and post-cruise stay. 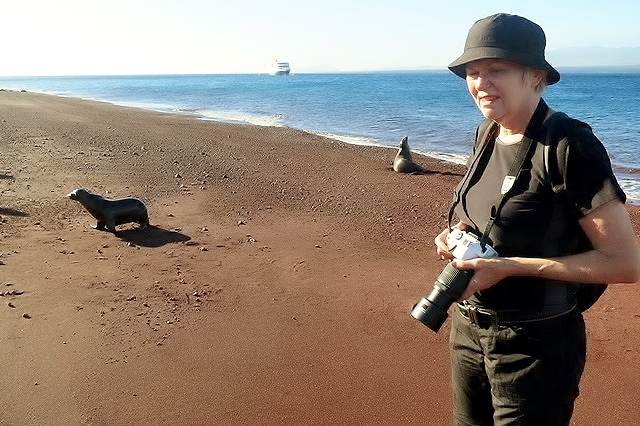 There are two itineraries - The Galapagos island A Cruise (Galapagos Outer Loop Itinerary ) and The Galapagos island B Cruise (Galapagos Inner Loop Itinerary ) - There is no big differences between the A and B itinerary - only reason is to allow the animals some rest between the visits. You might see nesting albatross on the A cruise and Nesting Frigates on B - other animals are the same. Daphne Island (Galapagos); Puerto Egas (Santiago); Rabida (Galapagos); Elizabeth Bay (Isabela); Caleta Tagus (Isabela); Sullivan Bay (Santiago); Bartolome Island (Santiago); Las Bachas, (Santa Cruz); North Seymour (Galapagos); P. Baquerizo (San Cristobal); Cerro Brujo (San Cristobal); Kicker Rock (San Cristobal); Puerto Ayora (Santa Cruz); Baltra (Galapagos). Unlike other Celebrity cruises, this cruise is an all-inclusive, where excursions, tips, drinks, hotel, flight from Quito to Baltra is included in the price. See other Galapagos Cruise Options at galapagosislands.com. For the visit to the Galapagos islands, there are two options: A cruise/boat charter or island-hopping/land based trip. It's a general thought, that a cruise is the best way to see the Galapagos Islands, but also more expensive. The alternative is a land based trip, where you can base yourself in one of various Galapagos hotels on the islands and then take independent day trips or excursions to see the Galapagos wildlife, or buy a land-based Galapagos tour package. Cruises will include the smaller islands like Espanola, Genovesa, Fernandina, and Rabida, while island-hoppers will stay on the larger islands like San Cristobal, Isabela, and Santa Cruz. Some islands are also too far away for land-based tours. Which option to chose will depend on you interests (including snorkeling/diving), which islands you want to visit and your budget. This is some of the pros and cons of taking a land-based trip or cruise. If you do not want to spend a lot of time in a boat, land-based will be your best option. It is less expensive than a cruise - Hotels are more expensive than for the mainland. More interaction with the local people taking the land-based trip. Can be considered more environmentally responsible than a cruise. Slightly greater chance of catching a water-borne disease when land based..
You may need to know more Spanish. Takes lot more work to arrange. Many day-tours and tour packages might be sold out early. You will be able to visit the smaller islands as well as the islands far away. Also cruise ships will visit islands which are closed to island-hoppers. Go one day earlier to Quito or Guayaquil . If there are flight delays, you will miss your boat. The crossings can be rough - primarily on the smaller boats. At the sea it can be cold in the morning and during night. The naturalists. These are the guides who tell you everything about the island and the itinerary. The islands are all very different. Get a guide book, read up in advance. The boat. Size matters. Larger ships will have better amenities, and smaller boat will have more intimate atmosphere. 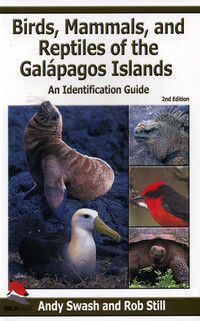 Below examples of useful guides to Galapagos - you can get more details at Amazon.com by clicking the link. - I have not yet purchased any of the guide books - But this is my initial thoughts.